Kellie joined Owens Estate and Wealth Strategies Group in 2018 as a Branch Associate. She previously worked for PricewaterhouseCoopers, LLP in San Francisco and was part of the “Industry Tax Practice” (ITP) group which specialized in Corporate taxation for both domestic and international companies ranging from small startups to multi-billion dollar companies. 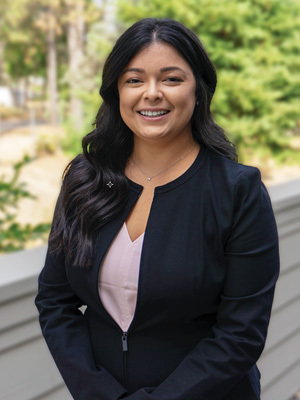 Kellie graduated from Cal Poly, San Luis Obispo with a Bachelor’s degree in Business Administration with a concentration in Accounting and a Master’s in Accounting with a specialization in Taxation. Kellie is a Certified Public Accountant and plans to obtain the Certified Financial Planner designation and will assist clients with tax planning*. Kellie and her boyfriend, Jonny, met in San Luis Obispo while she was obtaining her undergraduate degree. After graduation they moved to San Francisco where they lived for nearly two years. After experiencing city living, they chose to move back to the area and Kellie says, “I’m absolutely in love with Grass Valley’s small town charm and atmosphere and I love all the beautiful trees and nature that surrounds this area.” In her spare time, Kellie loves to be outdoors kayaking, hiking, or driving the backroads and spending time with family and friends, BBQ’ing in the backyard. *Tax advice and/or services are independent of RJFS.